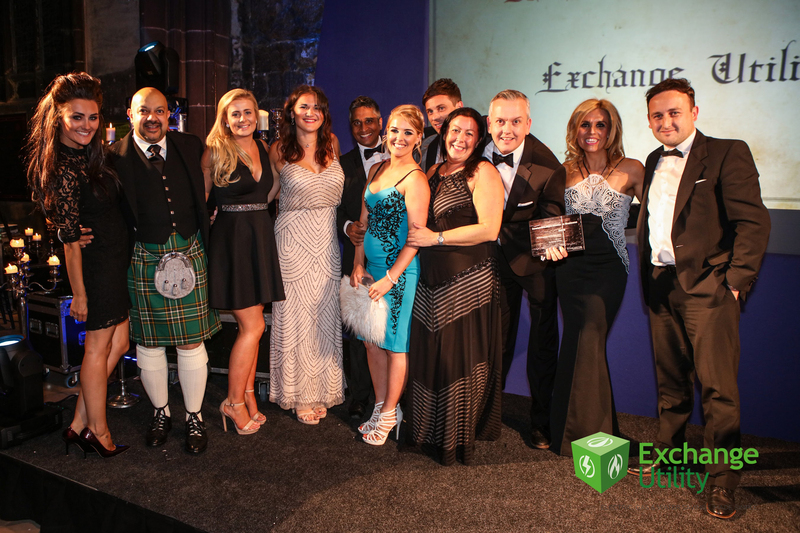 Exchange Utility win Best Employer! On Thursday the 14th July we attended the sixth City of Business Awards in Manchester Cathedral hosted by Downtown Manchester. We were very proud to be able to count ourselves amongst the nominees at such a fantastic event and we’re even prouder to bring an award home! Winning Best Employer of the Year is a huge accomplishment for us as a business, especially being up against some fantastic adversaries for the prize! We want to say a huge thank you to everyone who voted for us and to all those lovely people involved in last night’s ceremony. We had an amazing time and thoroughly enjoyed the Game of Thrones theme! We’re extremely proud of how much we’ve achieved since our launch just two years ago. We feel we have gone from strength to strength in the energy industry with regards to growth and the accumulation of new businesses. However, our proudest achievement has to be the maintenance of our family value orientated working environment. We strongly believe that if you look after your people, your people look after you and therefore we generously reward any achievements or initiative shown by our team. This encourages an open environment that appreciates good ideas regardless of role or background. Existing staff have flourished under the dedicated training and guidance we’ve provided. Thanks to this and the hard work of the team, our workforce has now expanded from 2 to 170 staff members and is still growing. 40% of our management team have come from the grass roots up and have enjoyed several internal promotions to come up through the business into their current positions. Our new central premises aims to create a real impact on those residing within and around the Greater Manchester area by creating 350 jobs. Having a central premises is a major feat for us as a business, as we see this as an opportunity to get proactively involved with the local area so we can become a fully integrated part of the community. Our family values is certainly something that will be an ongoing priority as we continue to grow and more people join our ever expanding team. As we grow, we are looking to recruit the best and most compatible people possible from surrounding areas to fit within our close knit team. Due to our close transport links we are advertising not only in our neighbouring towns, but also in Manchester city centre. 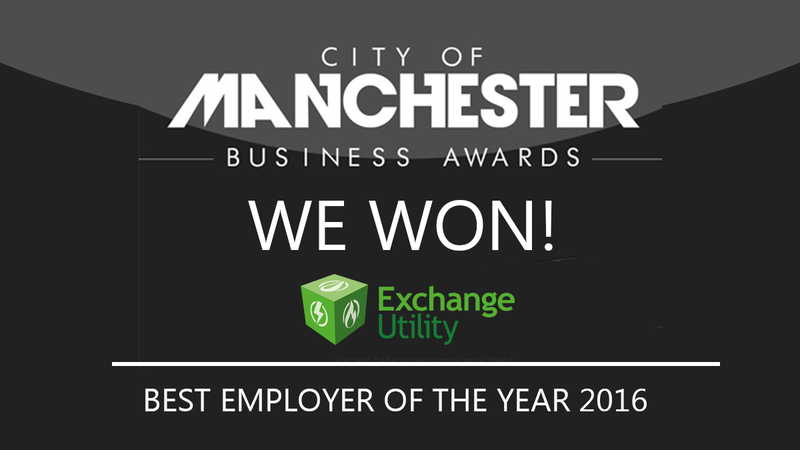 To win such a reputable award is a fantastic testament to our commitment to our staff and goes a long way to show potential employees that Exchange Utility is a great place to come and work. To be recognised for our efforts by a prestigious organisation is a massive boost for not only management, but all of our staff. We are a diverse, close knit team and we are a company that is proud to champion equal opportunities and personal development. Sounds like something you’re looking for in your next role? Click here to see our available roles.